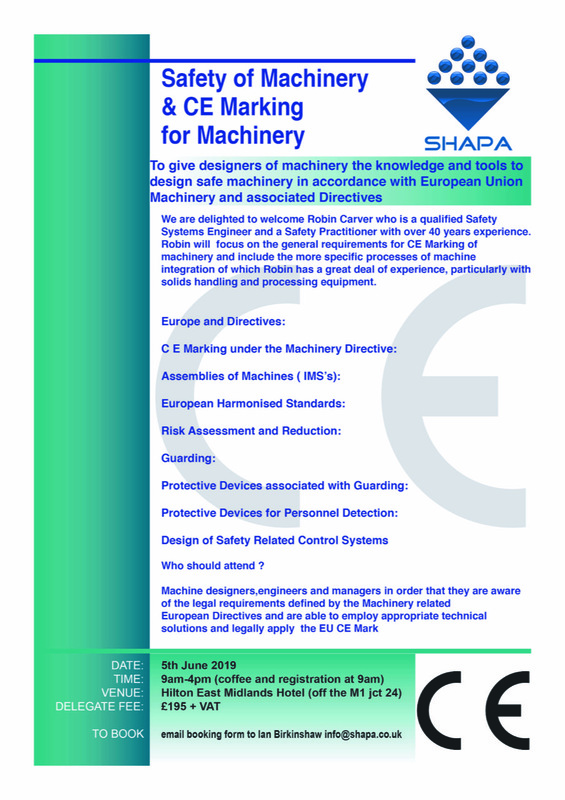 SHAPA are holding the workshop to give designers of machinery the knowledge and tools to design safe machinery in accordance with current Machinery and associated directives. it will also include a section on any implications as a result of the brexit agreements. The workshop will be facilitated by Robin Carver an expert in the field of Safety syetem engineering.